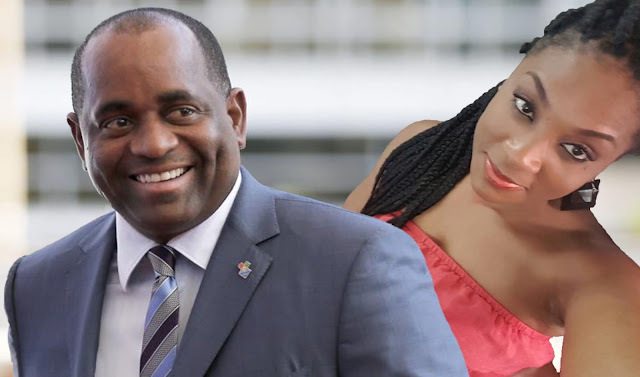 Dominica's Prime Minister, our Punjabi Doctor Roosevelt Skerrit along with his trusty sidekick Citizens By Investment (CBI) chief Emmanuel Nanthan will be heading to Hong Kong and Bangkok in November to peddle more of our passports. The dynamic duo will be accompanied by Range Developments chief Mohammed Asaria. 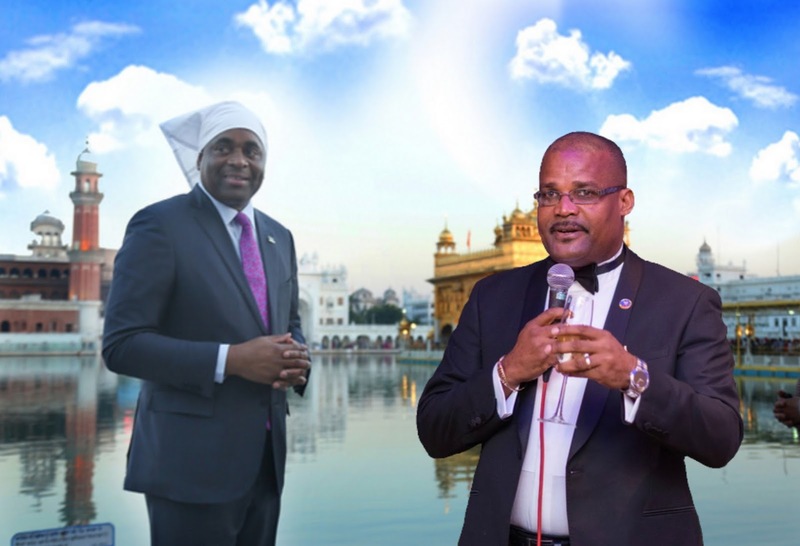 You will recall that Mr. Skerrit, envious of other Caribbean leaders who had achieved doctorates while pursuing their studies at recognized universities, availed himself of a "doctorate" from an unknown university deep in the Punjab region of India. After handing over tens of thousands of our tax dollars under the guise of making a "charitable donation", Mr. Skerrit, adorned in a black cape with gold trimmings, took on the title of Doctor of Literature, which is ironic since Mr. Skerrit speaks in a halting, knee-jerk manner and is incapable of writing his own speeches. He is now heading back to Asia to sell more of our passports. Both Immigration summits are being organized by the Harvey Law Group. The firm, whose local office is listed at 25 Independence Street, Roseau, has been organizing these summits for some time. A promotional video (see video below) produced by the law firm features snake oil salesman Skerrit as an official speaker at both summits. The East Asia Summit in Hong Kong will be held at the Renaissance Harbourview Hotel from November 7 - 8. According to the schedule, Mr. Nanthan will be participating in a session on November 7 at 3:30pm (Hong Kong time) relating to developments in the CBI programs in the Caribbean. Also participating in this session will be Grenada's Alexandra Otway-Noel, Minister of State in the Office of the Prime Minister and Cindy Emmanuel-Mclean, the Director of St. Lucia's Citizenship by Investment Unit. It will be chaired by Micha-Rose Emmett, Managing Director of CS Global Partners. Laurel and Hardy (Skerrit and Nanthan) then take their traveling road show to Bangkok, Thailand for the ASEAN Summit, to held at the Intercontinental Bangkok November 10 - 11. Like the Hong Kong summit, Mr. Nanthan will be joined by his colleagues from Grenada and St. Lucia in a session relating to CBI programs in the Caribbean. That session will be held on November 11th at 11:20am and will be chaired by Mohammed Asaria. Mr. Skerrit continues to fill the pool of likely voters for his party. Dominicans must not fool themselves; these new "Dominicans" will be able to vote in our elections, so if we continue to sit on our behinds and allow Mr. Skerrit to fill his bank accounts with the monies he is siphoning from this CBI scheme while adding a bunch of middle and far easterners to our voters list, we will one day discover that "Dominica by remote control" is not a song but a fact. If we thought Tony Astaphan telling us what to do while he sits in his Weston, Florida home was terrible, we should wait until we have thousands of Mohammed Asarias pushing our buttons from far away places like Beirut, Baghdad and Bangkok to see just how catastrophic Mr. Skerrit has been to Dominica. The people of the CARICOM region must be concerned about Mr. Skerrit's sale of Dominica's passports. Our passports are also CARICOM passports, which means that the persons who purchase them automatically become CARICOM citizens, with all the rights and privileges that come with that. The terms of the revised Treaty of Chaguaramas will allow these new "Dominicans" freedom of movement throughout the region without hindrance. Dominicans may be willing to do nothing while sitting on their asses but are natural born citizens of Barbados, Guyana, Jamaica, Trinidad and the rest of CARICOM willing to accept this? Let us wait and see.